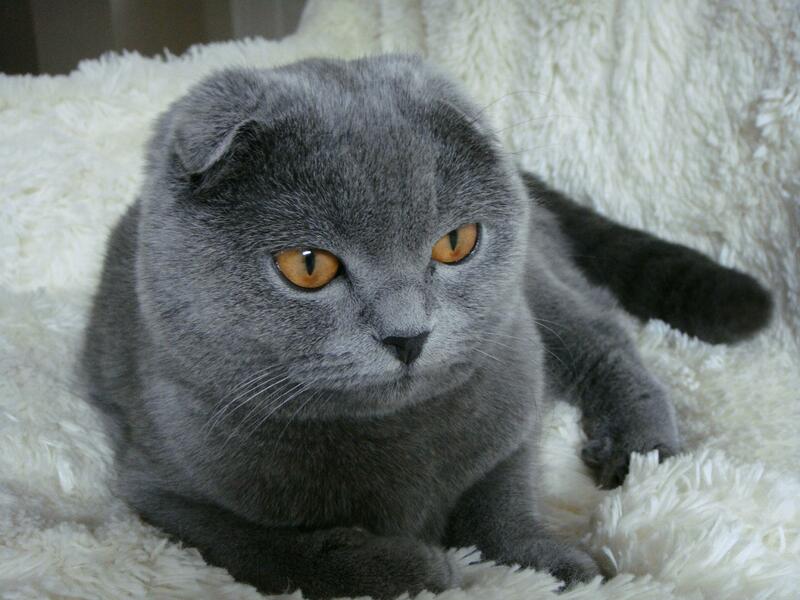 The Scottish Fold's folded ears are produced by a dominant gene that affects the cartilage of the ears, causing the ears to fold forward and downward, giving the head a rounded appearance. Since the gene is dominant, all Scottish Fold cats must have at least one folded ear parent to have folded ears themselves. When a Fold is bred to a straight-eared cat, approximately 50 percent of the kittens will have folded ears, although the number of Folds in any given litter can vary greatly. Breeding Fold to Fold increases the number of Fold kittens, but also greatly increases the chances of skeletal deformities. Homozygous Folds (Folds that inherit the folded ear gene from both parents) are much more likely to develop congenital osteodystrophy, a genetic condition that causes crippling distortion and enlargement of the bones. Avoiding Fold-to-Fold breeding reduces the problem; however, controversy surrounds the breed because of this defect. Thickness or lack of mobility of the legs or tail are sure signs of trouble. You can determine tail flexibility by moving your hand down the tail in a very gentle, slightly upward-arching movement. All Folds are born with straight ears. At around three weeks the ears begin to fold, if they are going to. Since it's not readily apparent how many Folds one has, breeders must play a waiting game until the ears develop their final folds. Even then it's difficult to tell if the folds will be the tight folds preferred in the show ring or the looser, pet-quality folds. Despite being folded, the ears are still expressive and swivel to listen, lay back in anger, and prick up when the can opener whirrs. The fold in the ear can become less pronounced when the cat is in heat, upset, or ill. Although some Fold owners report an increased production of wax buildup in their cats' ears, apparently the folded ears do not make the cat more susceptible to mites or infections. 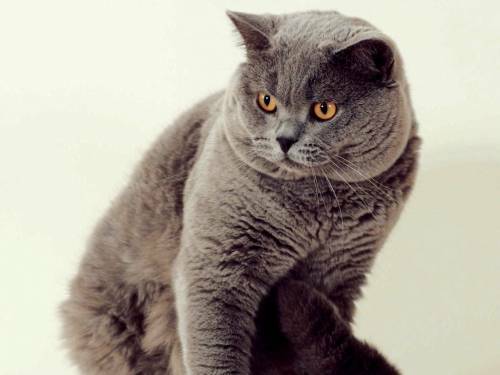 The previously reported susceptibility to deafness may be related to the fact that many early Scottish Folds were white, and white cats can be prone to deafness unrelated to the fold gene.